Elise July 30, 2018 Blog2 Comments on Exciting News! 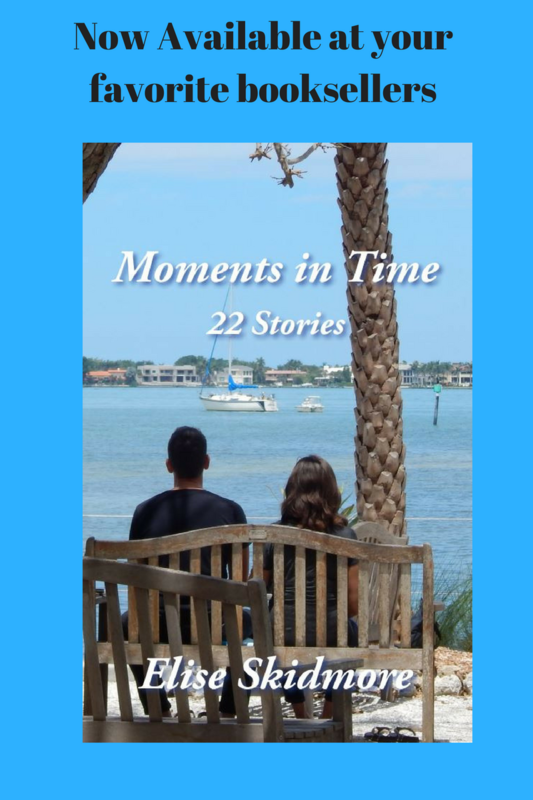 You Can Pre-order Moments In Time-22 Stories Now! For everyone who’s been asking when my next book is coming out, the wait is over! The digital version of MOMENTS IN TIME – 22 STORIES is now available for pre-order from Amazon and Smashwords, where it will be delivered to your device on August 3, 2018. The print version is also available here. These are stories about people dealing with a variety of moments in time. There’s love and death, humor and heartbreak, ghost stories, vampires, and some other supernatural stuff. These stories cover many genres so I think there’s something for everyone. To get your copy as soon as it’s released hurry over to Amazon or Smashwords and pre-order now. And tell your friends! I hope you’ll enjoy reading these stories as much as I enjoyed writing them. I hope you’ll enjoy it–and if you do, maybe you can write a review at Amazon or Goodreads to let others know too.